A new Friends of the Earth report has found Victoria can hit an ambitious state Renewable Energy Target of 30 percent by 2020. The report, Making Victoria the Place to Be for Renewable Energy (PDF), comes as the Andrews government prepares to release its long-awaited renewable energy strategy. “The community would welcome a respectable Victorian Renewable Energy Target of 30 percent by 2020 from the Andrews government. It would create jobs, attract investment, and help tackle climate change,” said Leigh Ewbank, Yes 2 Renewables coordinator. 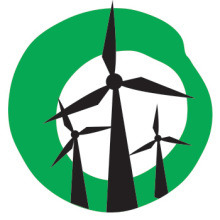 Friends of the Earth have led the campaign for a Victorian Renewable Energy Target since February 2014, calling for the state government to show leadership to protect the sector from Federal government attacks. “The Federal government’s attacks on renewable energy saw investment collapse by 90 percent in one year and over 2,500 people lose their jobs,” said Leigh Ewbank. In September 2015, the Andrews government committed to set Renewable Energy Targets for 2020 and 2025 in their Renewable Energy Roadmap (draft policy paper). The Andrews government is expected to release its final policy, the Renewable Energy Action Plan, in coming weeks. A strong coalition of support for renewable energy ambition has emerged in Victoria. The Victorian Trades Hall Council, Municipal Association of Victoria, City of Melbourne, and environment groups have called for ambitious Victorian Renewable Energy Targets in submissions to the state government. “The renewable energy sector is a huge job creator for Victoria. Prime Minister Turnbull has dropped the ball on renewable energy and it has cost jobs for our state,” said Luke Hilakari, Secretary of Victorian Trades Hall Council. Secretary of the Victorian Trades Hall Council Luke Hilakari has emerged as a champion of renewable energy jobs. The ACT Labor government’s Renewable Energy Target of 90 percent by 2020 is now building wind farms in Victoria. Wind farms in Ararat and Coonooer Bridge are creating hundreds of jobs in Victoria and injecting millions into the state economy. “Victoria won’t have to rely on the policies of other states to build renewable energy projects for much longer. By setting a respectable target of 30 percent by 2020, Premier Andrews can secure local jobs and investment,” said Leigh Ewbank. Friends of the Earth say renewable energy is an area where the Victorian parliament can demonstrate bipartisanship. “Growing renewables and creating jobs is something all political parties can support. The community would welcome bipartisan support for the VRET from opposition leader Matthew Guy,” said Ewbank. The Matthew Guy opposition appointed David Southwick MP as the first ever Shadow Renewable Energy Minister in any Australian jurisdiction. It signals that the Opposition is modernising its energy policy and could be prepared to support state targets on the basis that they provide accountability. Shadow Renewable Energy Minister David Southwick supports renewable energy growth, but will the opposition support the VRET as an accountability measure? With renewable energy policy about to conclude, Friends of the Earth say a coal closure is a priority. “It is essential that the government develops a transition plan to prepare coal communities for the future, and take steps to reduce excess coal power capacity,” said Ewbank.